Hundreds of casualties have been reported in Indonesia after a tsunami hit at least two cities, including the tourist resort of Palu on Sulawesi island. The death toll has more than doubled since Saturday. A tsunami triggered by a powerful 7.5 magnitude earthquake off the coast of the Indonesian island of Sulawesi on Friday evening crashed into at least two cities, including the popular tourist resort of Palu, with officials raising the death toll to 832 on Sunday. The new death toll given by the National Disaster Mitigatin Agency marked a sharp rise from the some 380 dead reported the previous day, almost all of them in the hard-hit city of Palu. Indonesian Vice President Jusuf Kalla has said "thousands" may be found to have died in the disaster when a final toll is issued. The tsunami, with waves reaching up to six meters (20 feet) in some areas, swept away houses in Palu, the capital of central Sulawesi province. It also struck another city, Donggala, closer to the epicenter of the quake 80 kilometers (50 miles) away. A 21-year-old air traffic controller at Palu's Mutiara airport died as the earthquake damaged the building he was in just moments after he cleared a flight. The airport was still closed to flights on Saturday. Komang Adi Sujendra, director of the state-run Undata hospital in Palu, said: "We need all the help we can get," adding "We need field hospitals, medical workers, medicines and blankets." Hundreds of people found themselves on the beach the wave hit, working on the preparations for a beach festival due to start on Friday, and many of them "became victims," the authorities said. "The tsunami didn't come by itself, it dragged cars, logs, houses, it hit everything on land," agency spokesman Sutopo Purwo Nugroho said on Saturday, adding that the tsunami had traveled across the open sea at speeds of 800 kph (497 mph) before striking the shoreline. Nugroho described the damage as "extensive," adding that thousands of houses, hospitals, shopping malls and hotels had collapsed, while a bridge had also been washed away. The rescuers also fear there are many more victims in Donggala, with the details scarce due to disrupted communications and impassable roads. So far, 11 deaths have been reported there. "We have heard nothing from Donggala and this is extremely worrying," said Jakarta-based Jan Gelfand of the International Federation of Red Cross and Red Crescent societies. "There are more than 300,000 people living there. This is already a tragedy, but it could get much worse," he added. Communications in the area have been cut due to power outages, hampering rescue and clean-up efforts. A smartphone video circulating on social media showed a powerful wave hitting Palu with people screaming and fleeing in panic. The wave damaged several buildings, including a mosque. Indonesian President Joko Widodo said the military had been called into the region to help search-and-rescue teams reach victims and retrieve bodies. Tsunami warning lifted too soon? Indonesia's geophysics agency found itself under fire for lifting the tsunami warning only 34 minutes after sounding the alarm on Friday. It was not immediately clear if the wave hit the coast before or after the warning was called off. "Based on the videos circulating on social media, we estimate the tsunami happened before the warning officially ended," said Rahmat Triyono, head of the earthquakes and tsunami center of the Indonesia's BMKG agency. 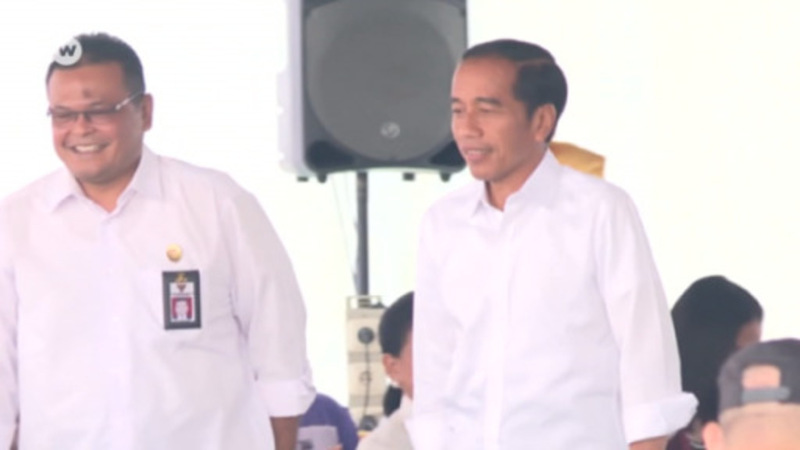 Triyono also said his organization had followed the procedure and was working off the data from the nearest tidal sensor, around 200 km (125 miles) from Palu. "We have no observation data at Palu. So we had to use the data we had and make a call based on that," he said. "If we had a tide gauge or proper data in Palu, of course it would have been better." Speaking to DW on Saturday, tsunami expert Widjo Kongko said the warning should have been kept in place for at least one hour. "Based on my simulation, the tsunami should arrive at Donggala, Palu within 5-10 minutes after the primary earthquake," he told DW Indonesian. "And it would then arrive at Mamuju (further away from Donggala) within 30-35 minutes. But since the tsunami did not happen in Donggala, Palu after 30 minutes, the authorities decided to lift the warning. Then not long afterwards, the tsunami came." Almost 700,000 people live in Palu and Donggala. The Sulawesi capital is built around a narrow bay which may have intensified the tsunami's force as it crashed into the tight inlet. The tsunami was triggered by a shallow quake earlier on Friday just off central Sulawesi that also flattened buildings. The massive tremors could be felt hundreds of kilometers away from the epicenter. Strong aftershocks continued to be felt on Saturday. Such shallow quakes tend to be more destructive. Experts say the tremor was more powerful than the series of quakes that killed hundreds on the Indonesian island of Lombock in July and August. Indonesia, which is located on the "Ring of Fire," is prone to earthquakes. Another smaller earthquake had struck the Palu area earlier on Friday, destroying some homes and killing at least one person in Donggala. In December 2004, a magnitude 9.1 earthquake off the island of Sumatra triggered a tsunami across the Indian Ocean, killing nearly 230,000 people in 13 countries, including more than 120,000 in Indonesia. The Indonesian province of Aceh, located at the northern end of Sumatra, was the hardest hit by the tsunami. More than 130,000 people died in this region alone. This picture taken on January 8, 2005 shows the devastation caused by the tsunami in the provincial capital Banda Aceh. Ten years later, many of the tsunami survivors in Aceh have regained their livelihoods. Houses, roads, bridges and ports have been rebuilt in what the World Bank described as "the most successful reconstruction effort." This picture taken in December 2014 provides an aerial view of houses in the capital city. Aceh was the worst hit location, being the closest major area to the epicenter of the 9.1 magnitude quake, which made some 1.5 million people homeless in Southeast Asia. This picture shows people displaced by the tsunami, walking amid their ruined neighborhood just days after the disaster. The Indian Ocean tsunami also prompted an unprecedented humanitarian response and an international relief effort. Many of the buildings are now new or significantly repaired. This picture taken in December 2014 shows a motorcyclist driving past a boat washed up onto people's homes. The province of Aceh was the first hit by the tsunami, with waves of up to 35 meters, killing tens of thousands and leaving behind a path of destruction. As seen in this January 2005 picture, the houses surrounding this partly damaged mosque in the Lampuuk coastal district of Banda Aceh were wiped out by the massive waves. Since the disaster, Aceh has become more religiously observant, as many people saw the tsunami as God's punishment for their immorality, evidenced by the fact that many mosques remained standing. This picture taken 10 years later shows the renovated mosque surrounded by new houses and rebuilt community. A massive undersea earthquake off Sumatra on December 26, 2004 - known as the 2004 Sumatra-Andaman earthquake - triggered the Indian Ocean tsunami. Its tidal waves reached at least 11 countries from Australia to Tanzania, claiming about 230,000 lives. This picture shows a scene of devastation in the Indonesian city of Banda Aceh. The outpouring of international aid helped residents rebuild their community stronger than before the disaster. The tsunami also sparked peace talks that led to a deal in 2005 between separatist rebels and the central government, ending a three-decade long war that claimed thousands of lives. Describing her impressions shortly after the tsunami, US journalist Kira Kay said: "Bodies remained under rubble; the body retrieval caravans – some of them run by Islamic civil society groups – were dumping them by the truckload into mass graves. The stench was terrible." Aceh was always more conservative than other parts of Indonesia - in fact the nickname for Aceh is "the Porch of Mecca" as it is at the tip of the country facing Saudi Arabia. But in recent years, there has been an increased implementation of the region's special Shariah laws, including rules governing the clothing of women and moral behaviors generally.